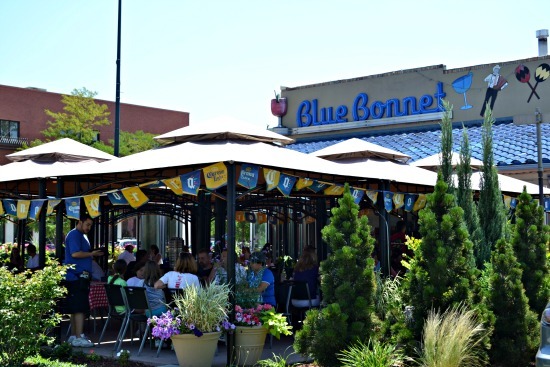 The Blue Bonnet in Denver has been in business for 45 years. In terms of iconic restaurants that have stood the test of time, Blue Bonnet is even more impressive as it has been under the same family ownership since 1968. 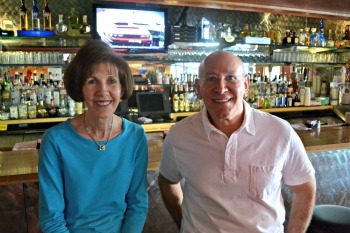 On South Broadway, The Blue Bonnet was purchased by Arlene and Philip Mobell, and they turned the once dark, post-prohibition drinking hole to a Mexican family-style restaurant. Thus began their legacy. Fast forward to present day on a hot, Sunday afternoon in the Summer, I sat with brother and sister duo, Gary Mobell and Marci Rosenberg who are carrying on their parents legacy. They grew up working in the restaurant and now they’re now running it. 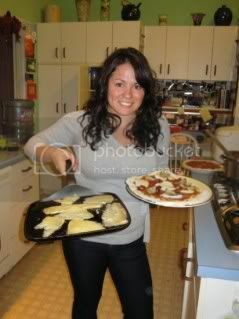 Throughout the years, other family members such as children, nieces and nephews have also contributed along their side. Although Blue Bonnet doesn’t exactly evoke Mexican, their parents kept the name from the original owners, Helen and Shorty Bolten, (an homage to Texas and the state flower) so people would continue to recognize their name. Their food has changed quite a bit. With a vast menu (perhaps too large), they share that they’ve wanted to keep the original dishes that their regulars love like cheesy, smothered burritos or enchiladas. But recently, they’ve undergone quite a bit of change to meet the growing demands of competition and today’s food preferences and allergies. For three years now, they’ve had a separate, entirely gluten-free menu. They now have seasonal components to their menu that provide more of a fresh twist on Mexican, where the dishes are light, bright, vibrant with lime and lemon and beautiful colors. For dessert their sopapillas were fluffy (and with just enough grease to do you good) and their flan had that edge of caramel with just that right texture. I really appreciate their varying margarita list. They’re pretty fun and unique, in that, you don’t often see a list of this many margarita styles. Such as: strawberry basil margarita, cucumber and fire roasted jalapeno margarita, sangria margarita, ginger lime margarita and more! I briefly spoke with Lulu Briggs, their Manager who had been working with them for 29 years! When asked why she has been there for so long, with a big smile she said, “Our customers,” noting that she has watched children grow into adults and bring their own children throughout the years. As I asked around, much of their staff had been with them for decades and they appreciate the way the Mobell’s treat them with respect and integrity. For those in Denver, it’s familiar. Their second location (that they’re in now and have been for the last 25 years) has a patio and back room for private parties. That party banquet room is so popular, they’re consider expanding to accommodate greater sizes. You can see in the bottom right corner, the “Blue Bonnet” sign in the interior of one of their dining rooms, was the original sign from 50+ years ago. A fun artifact to keep intact at the restaurant. In this case, Blue Bonnet is one of those familiar gathering spots where the food is consistent and comfortable, and it’s a great place to relax with your family or enjoy some of their unique margaritas. I think far too often, the unique, loving places that have been around forever may be overlooked by shinier, newer places and I love being able to shed some light on interesting restaurants that have held their own for so many years. With such a high failure rate for restaurants, this i impressive to anyone. You may not go to Blue Bonnet for the highest quality, edgy cuisine in Denver but you do head there for a fun atmosphere, consistent food that has a menu anyone can enjoy and to familiarize yourself with a casual, comfortable atmosphere. Not to mention, to constantly push the envelope and keep up with the growing restaurant demands around you, are no small feat. To stand the test of time, especially with your family, you know something good is going on over there. Note: Thanks to Gary and Marci for hosting us and being so gracious. You can read my Iconic Restaurants feature interview I did with them on Eater Denver here.